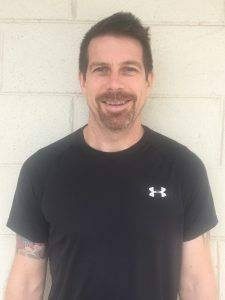 What is your PT Experience and background? What do you think u can offer your clients? What is your favourite quote or motivational saying? Strength Training is certainly my favourite, with my specialty being Weight Training. I love it for developing strength and a rise of skeletal muscle strength. In my program designs I like to target areas of the body to specifically design the body how to be stronger and more toned. What is your PT background? I started out as a competitive swimmer and my father was a qualified Personal Trainer. He trained me early and I grew up with fitness in my life. 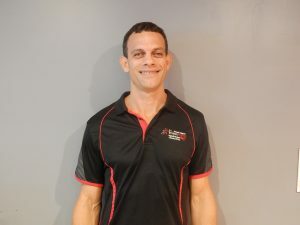 I completed a Bachelor of Fitness in Brazil in 2002 and then migrated to Australia where I completed a Diploma of Fitness on the Goldcoast. 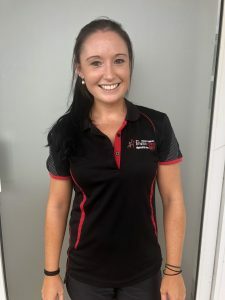 I have worked as a Personal Trainer in QLD and now in the NT. 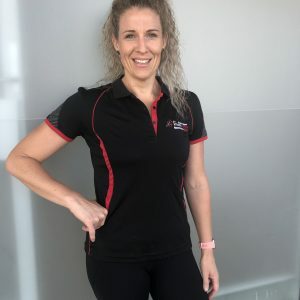 I offer my clients my undivided attention, and not just during the work out, whenever they need my support and motivation. 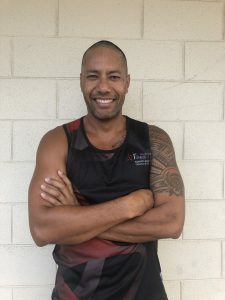 I offer them my constant high energy, humour, a comfortable and relaxed environment and a huge dictionary of different exercises and combos (no workout will ever be boring), ten plus years of research into nutrition and training, and most importantly I offer them a chance to be a part of what is my passion…improving the world’s health and fitness. Oh and awesome tunes and dance moves.